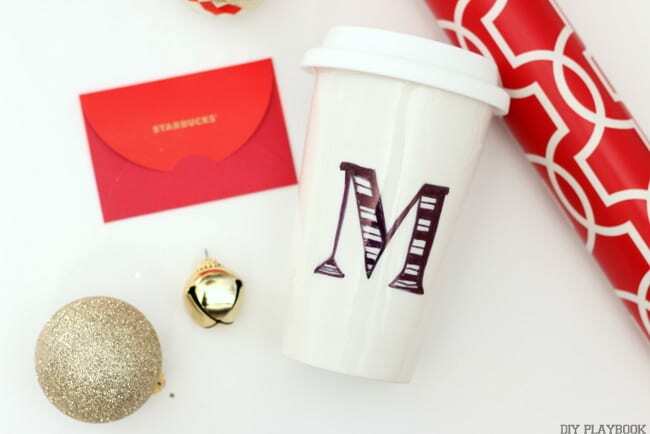 As you all know, we’re all about personalization around here…. 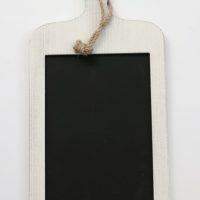 but at the same time, we are also all about the idea that these personal touches don’t have to take a ton of time or money. 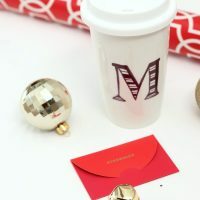 When the Michael’s Makers team revealed December’s challenge of creating 3 DIY Hostess Gifts, we knew we were up for the challenge but we also knew that we wanted the hostess gifts to be personalized. 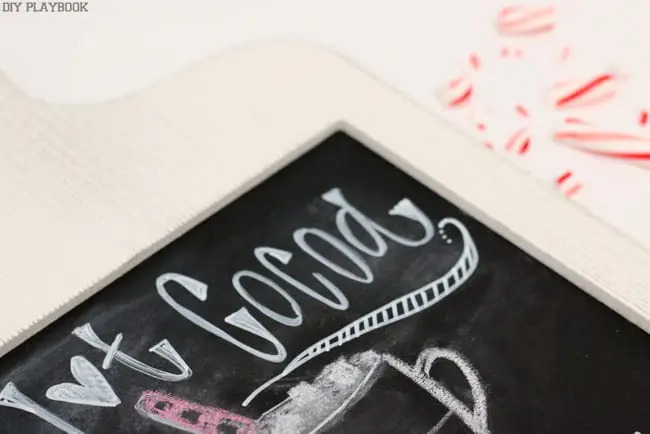 And let’s be honest…. 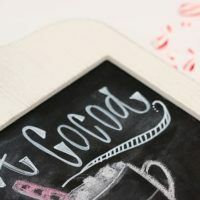 the month of December is usually a busy one (for everyone!) 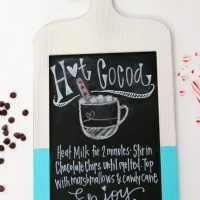 so we knew that if these were going to be realistic DIY hostess gifts, not only did they have to be personalized but they also couldn’t take a ton of our non-existent free time. 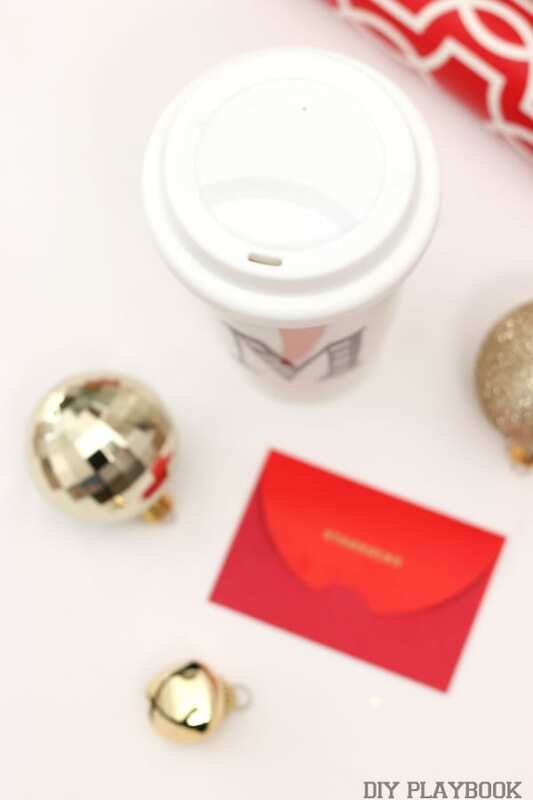 Personalized + affordable + time effective = the ultimate WIN in our playbook. 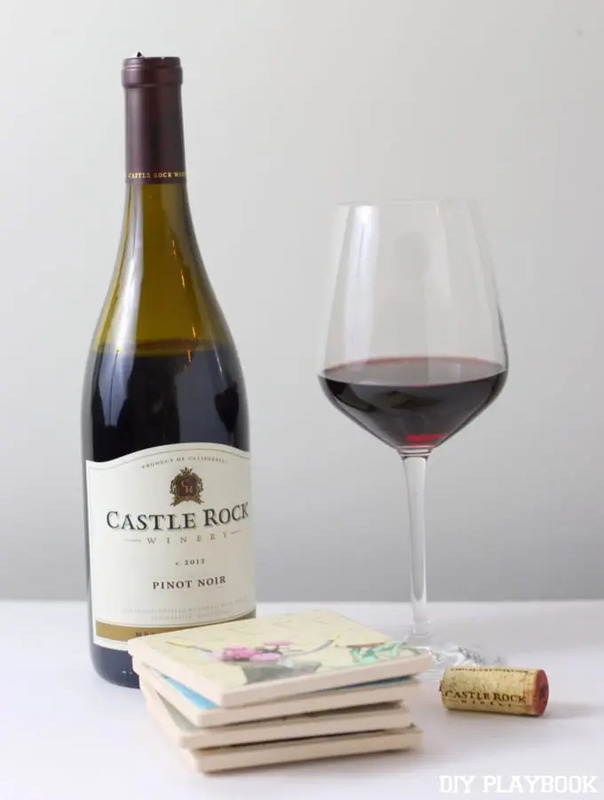 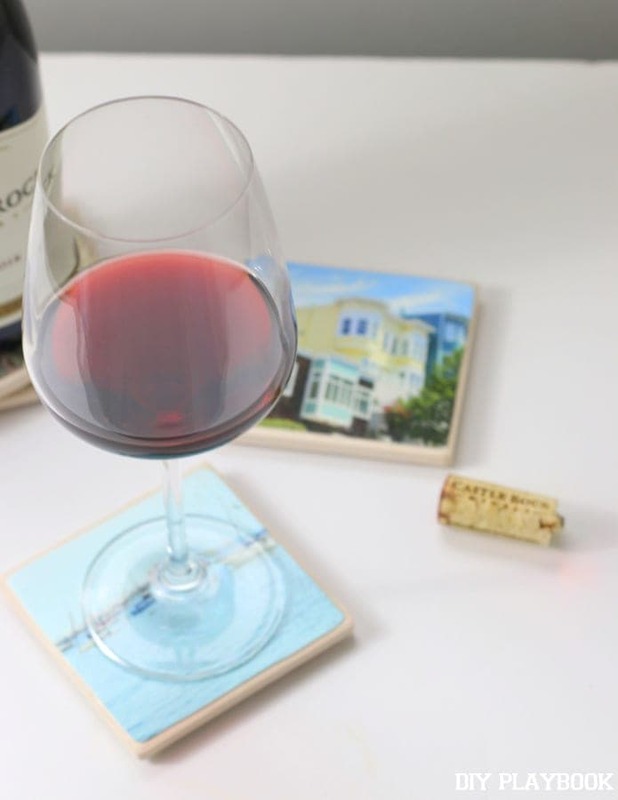 Instead of giving: a bottle of wine….. give a bottle of wine with a side of personalized Instagram Coasters. 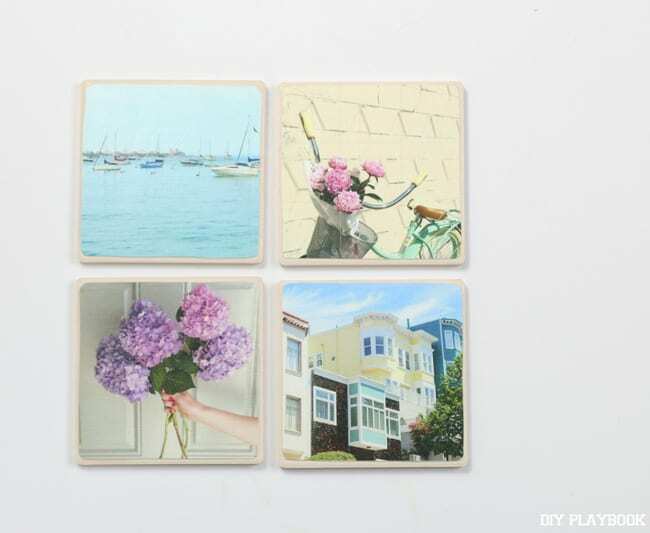 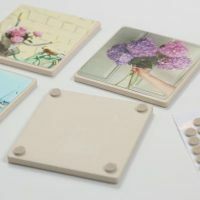 Cut your photos to fit the ceramic tiles. 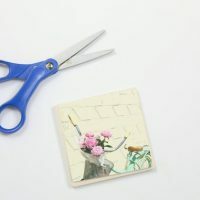 Then apply a layer of mod podge on the back of the photo and press firmly onto the tile. 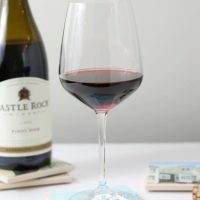 You can even use a credit card to smooth out any bubbles. 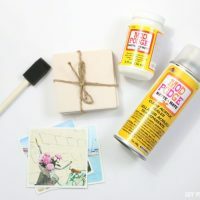 Add a layer of mod podge to the front of the photos as well. 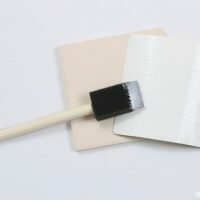 Be aware of your brush strokes, as they will be slightly visible when the glue dries. 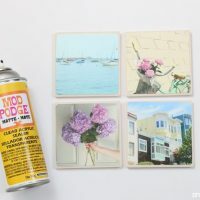 Repeat two more times, allowing the glue to dry in between coats. 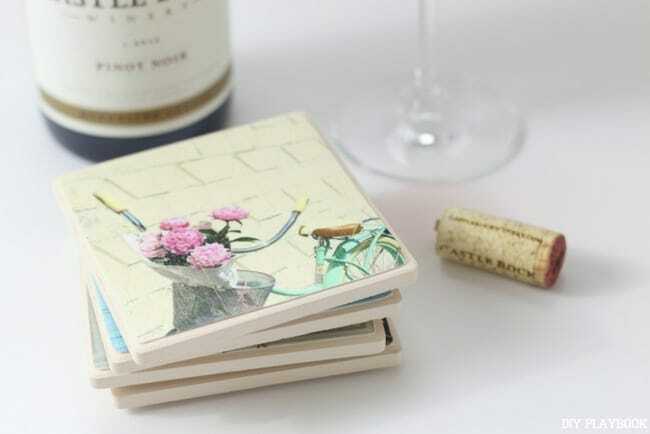 When your coaster is completely dry, spray it with the acrylic sealer. 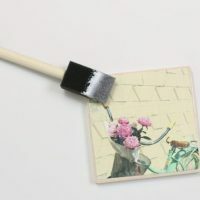 You can do a few coats of this as well, allowing the sealant to dry in between coats. 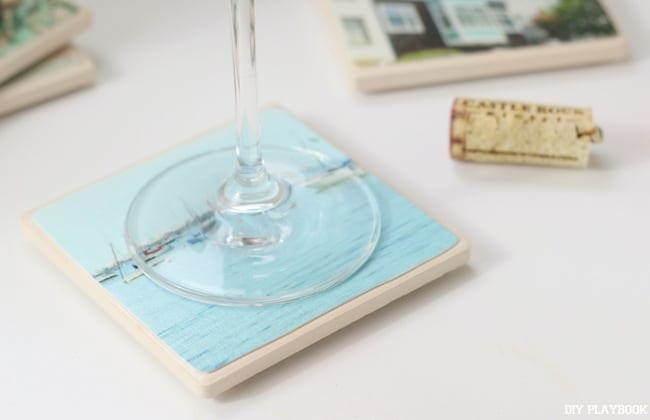 Once your coaster is sealed & dry, add felt pads to the 4 corners and you’re good to go. 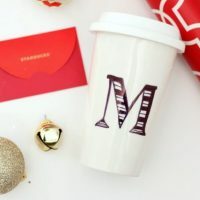 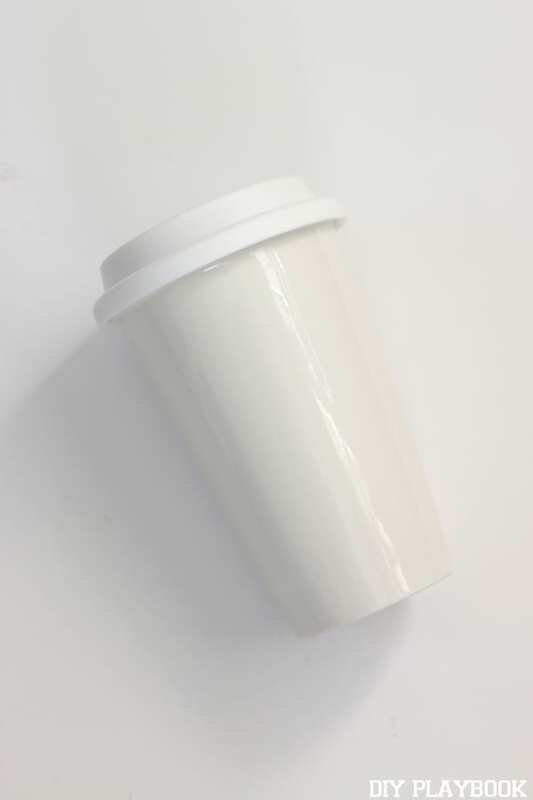 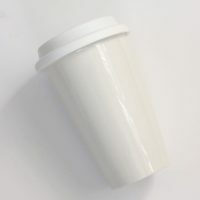 Instead of giving: a Starbucks gift card….. give a Starbucks gift card packed inside a (DIY) Anthropologie-inspired Travel Mug. 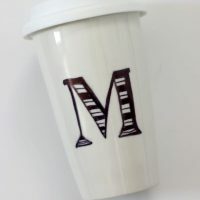 We used our favorite Anthropologie mug as inspiration to draw the design on this mug, but to be perfectly honest, any personal design would work. 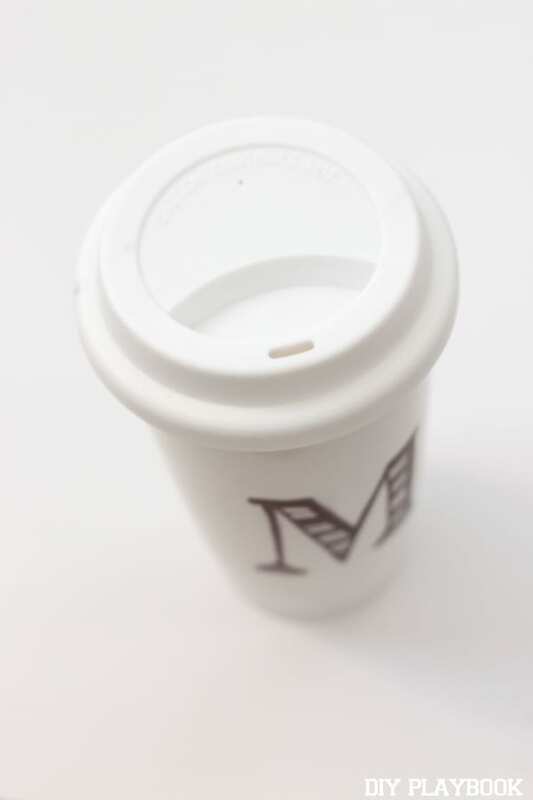 We would advise doing a “first draft” with a pencil and then trace it carefully with your ceramic marker. 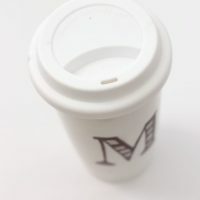 After your letter is traced, read the directions on your pen to bake this mug, which will make the markings on the mug permanent (and waterproof). 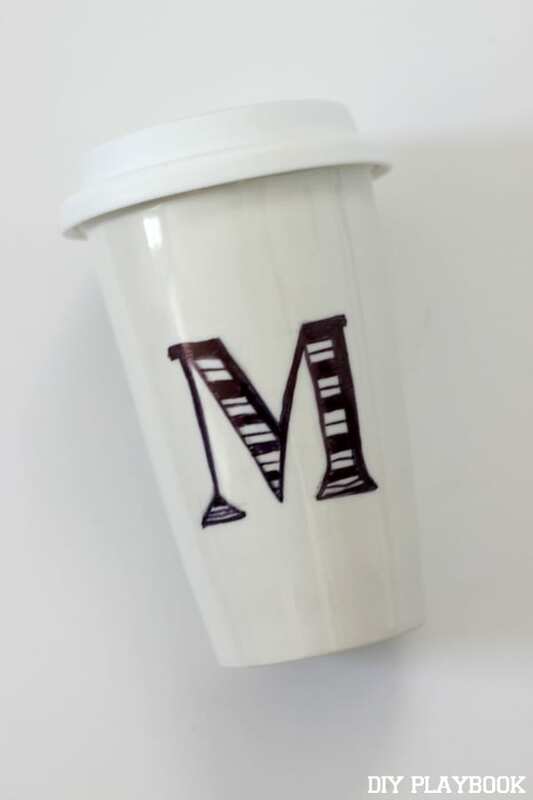 I baked mine for 35 minutes to finalize the design and I can’t wait to give this to the coffee-loving hostess in my life. 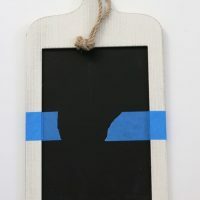 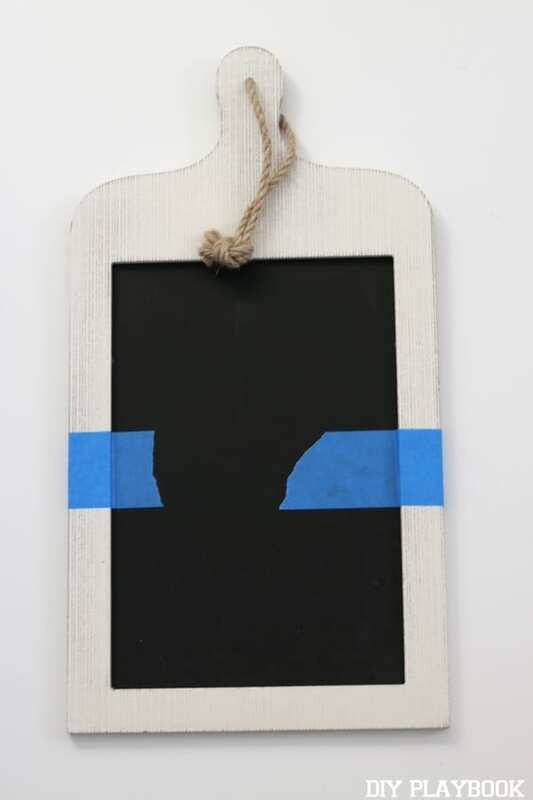 Add some painter’s tape to your chalkboard so you can paint the design of your choice (we went with a dipped look). 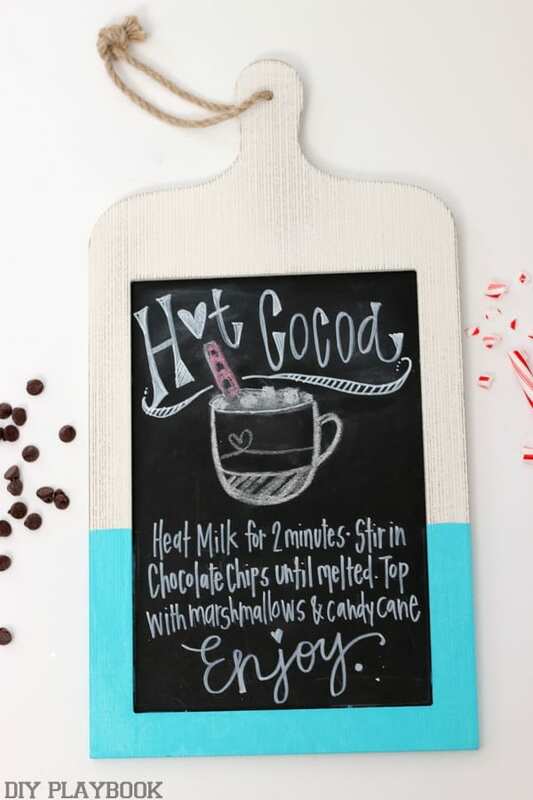 After the paint dries, remove the tape and use chalk/chalkboard marker to write a recipe of your choice (we went with a delicious hot cocoa recipe for the holidays, but you should go with a recipe that is special to your hostess). 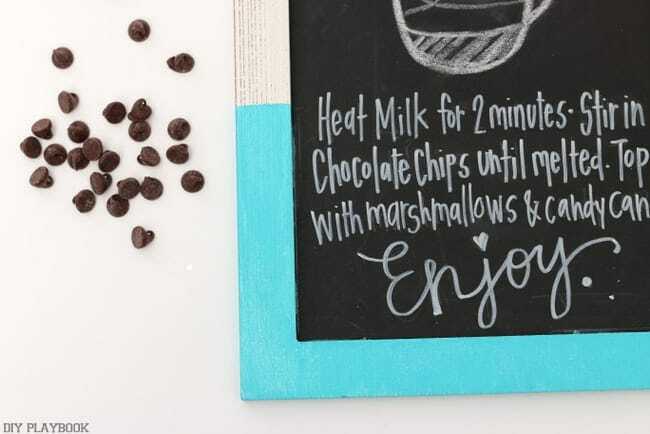 A family recipe? 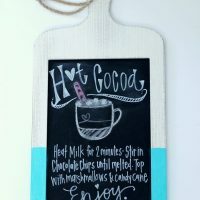 The hostess’ specialty? 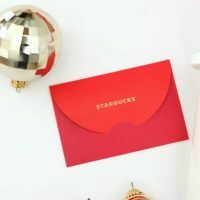 A holiday favorite? 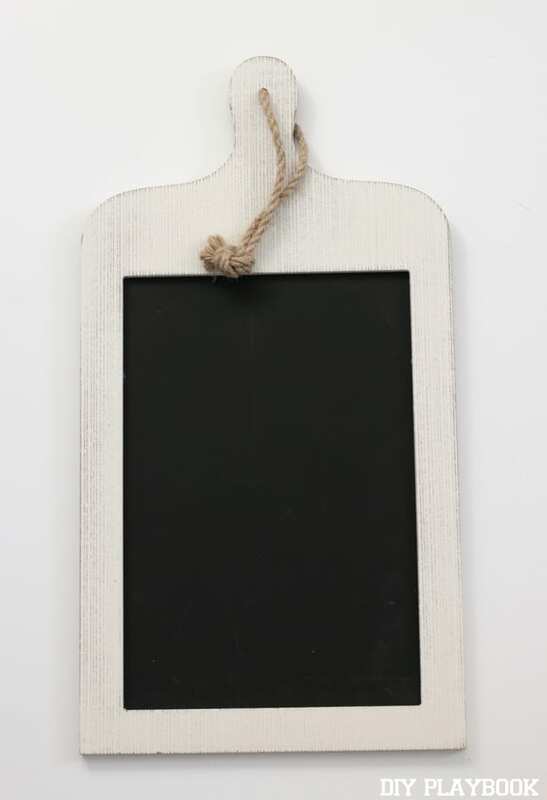 <— the menu is endless! 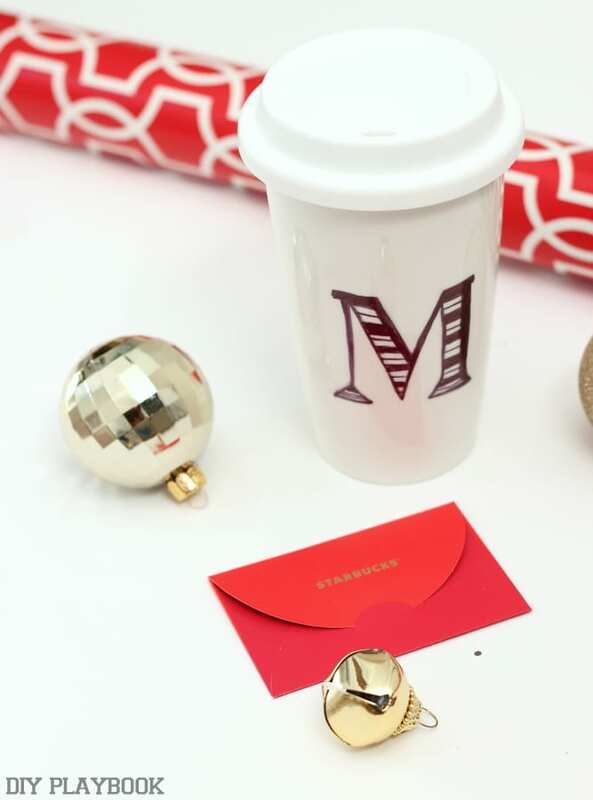 So what do you say, are you ready to step up your DIY hostess gifts game this holiday season?! 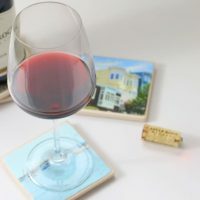 Maybe you can make one of these ideas work for a special hostess in your life, but if not… we hope we at least proved that personalized gift giving doesn’t have to take a ton of time or money. 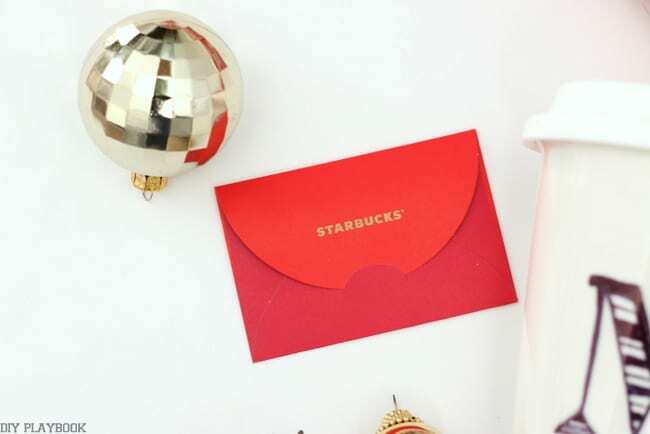 You can make the hostess (…or teacher, hairdresser, friend, co-worker, boss, etc.) 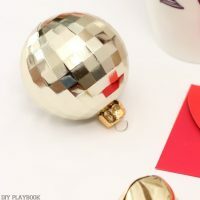 in your life feel special and possibly even have a little creative fun in the process. Grab your supplies and let’s do this — we BELIEVE in you!